Once you have decided you will have a tracking system installed for your fleet of vehicles, you have just one more decision to make. Will you opt for an active tracking system or a passive one? 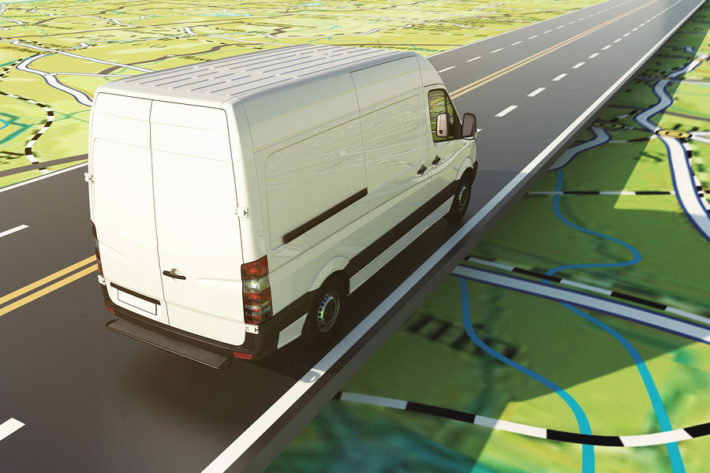 So what’s the difference between passive and active vehicle tracking? To clarify the difference between the two, the passive system collects all the data and makes it available to download at the end of the day. The active system transfers the data in real-time as the vehicles are on the roads. Therefore it is very important to understand how each system works. Without that knowledge it is impossible to choose the right system for your business. Here we’ve looked at each type individually and offered some of the pros and cons involved in each case. One of the biggest advantages of this system is that you receive the data in real-time. This enables you to relay that data to your customers if it is appropriate to do so. This would work well for parcel delivery services and taxi companies. It also means you can direct drivers to specific locations depending on who is free and where they are at any one time. This is ideal where pickups are required. Active tracking also means you are able to identify a vehicle’s location if it is reported stolen by the driver. This information can be relayed to the police and a swift arrest made. Since you get live data with this system, you will also pay more for it. Thus you have to consider the cost of investing in it and whether it is worth it for your particular business. You’ll have an ongoing monthly fee to pay in order to have the data transmitted to your computer as well. However you have to think in terms of how much more productive your business could be as a result of getting that data too. You’ll need to have the trackers serviced every now and then to ensure you continue to receive accurate data from them. Their complexity also means you cannot install them yourself – you’d have the initial setup charges to cover installation costs as well. This system is more affordable than the active type. If there is no requirement for you to have an up-to-the-minute location on every vehicle your business owns, there is no need to get an active service. Therefore you can save money by investing in this system instead. You won’t have to pay a monthly fee for transmitting the data from each vehicle back to your computer either. Even though the setup charges are likely to be very similar, this is the area where you can really save money in the long-term. Another big advantage is that you can still have all the same information you would get from an active tracking system. The main difference is that you have to wait to get hold of it. Therefore if you don’t need the information straightaway, you can save money and still get it all at the end of the day. There are still numerous ways you could benefit from having all that information at your fingertips. You’ll have to wait to get access to the data if you opt for a passive tracking system. Basically this means you cannot see where your business vehicles are during the day, but you can tell where they have been once they return to base and you can access the information. However, if it is not necessary for you to have real-time access to that data, it doesn’t really matter one way or the other. Your employees may not like the idea of having trackers fitted to their work vehicles. Some may think it means you don’t trust them to do their work. They may suspect you are spying on them. Even if you are using the data purely for business purposes you may be faced with this feeling of distrust. In some cases a business vehicle may not always return to the depot or other central business location at the end of each day. This means you cannot access the data until the driver brings back the vehicle. This isn’t very practical if you want access to the data on a daily basis. If you only ever get access every week or two, you may realise an active tracking system would make more sense to use. Which option would suit your business? As you can see there are significant pros and cons to each type of vehicle tracking system. This is why it pays to consider what you need and want from your own tracking system. How will it benefit your business? How do you need to use it? How often do you need to have access to that data? The more information you have at your fingertips, the easier you will find it to make the right choice. It also makes sense to budget for each system to see what the likely charges would be. There are a variety of companies providing vehicle tracking of one, other or both kinds today. As such you should get some quotes for the particular system you require once you have made your choice. You can then work out what the cost would be for you and how much your business might benefit as a result. It’s clear that having a good idea of what to expect is the best way to ensure you choose the right service from the start. Having to change at some point because you made the wrong decision isn’t the best course of action. Each system has pros and cons as we have seen, but this doesn’t mean one system is inherently better than the other. It all depends on what your business needs and how you want to use the information to develop and enhance your business. Once you know the answer to that, you’ll find it a lot easier to choose the best system for you.